Live the adventure of a real fighter pilot for the day “TOP GUN” style strapped into our L39 Jet Fighter. This ride is a great Xmas Gift Idea for dad. Jet Flight Australia Market Leaders in Jet fighter Operations Fly The best thrill machine in Australia the L39 Albatros, Australia’s most modern flying Jet Fighter on the adventure market today. Cessnock Jet base is located only a short 1.2 drive north of Sydney,or a short Helicopter transfer right to the door step. The aircraft is packed with advanced technology superior to any other adventure Jet Fighter. 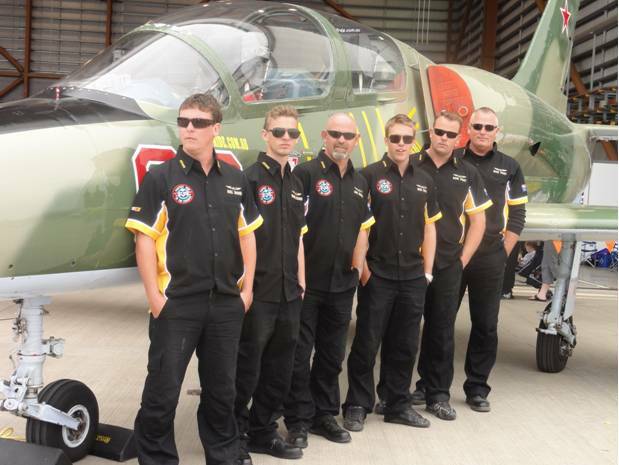 Our L39 Albatros is fully air-conditioned as well as pressurised for high altitude flight. Just think of this, when we service the aircraft…. Cessnock to Bathurst 15 minutes “FACT”. If its 2 jets you want not a problem give Mark a call on 1300 554 876 .